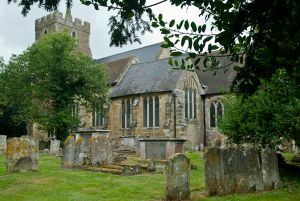 The first church at Rolvenden was recorded in 1090. In was probably a wooden building of Saxon origin. 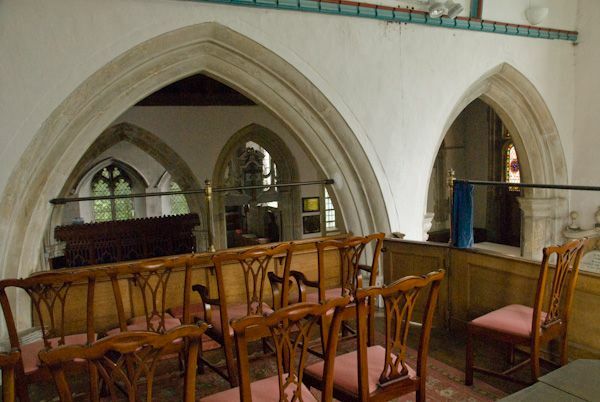 In the 12th and 13th centuries that early building was replaced by the current stone church, which was then heavily remodelled in the 14th century to form the church we see today. 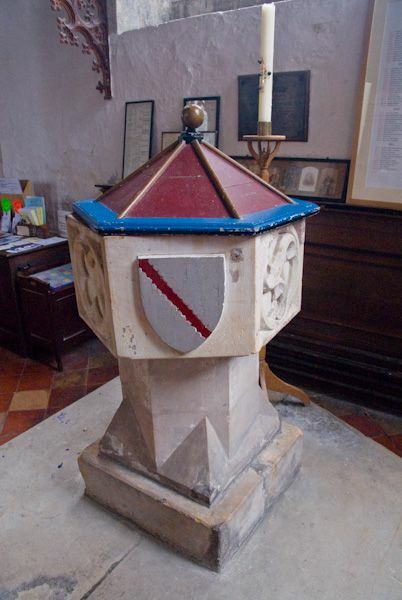 The simple hexagonal font was the gift of the Culpepper and Guildford families and is embellished with their brightly painted coats of arms. 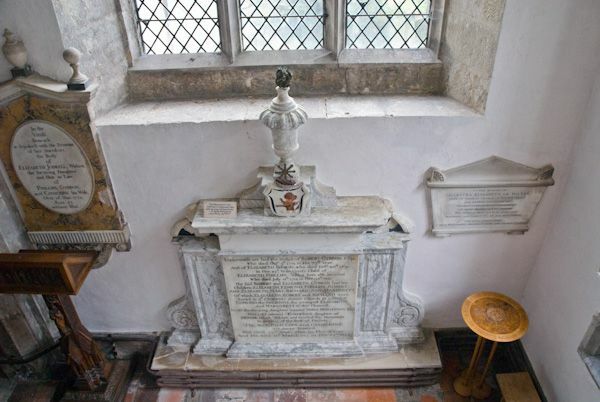 Nearby is a holy water stoup from the 15th century. 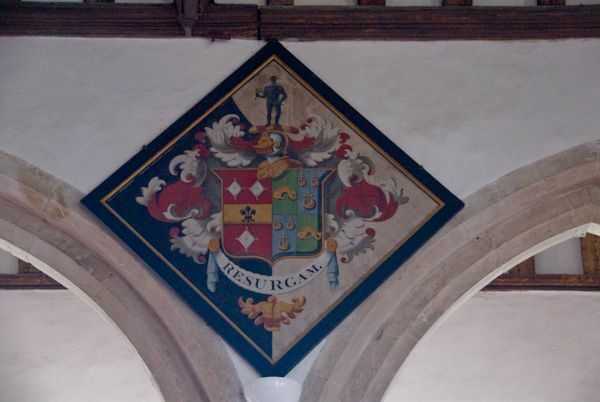 The most interesting feature of the church can be found in the south chapel. Well, not precisely in the chapel, but above it. 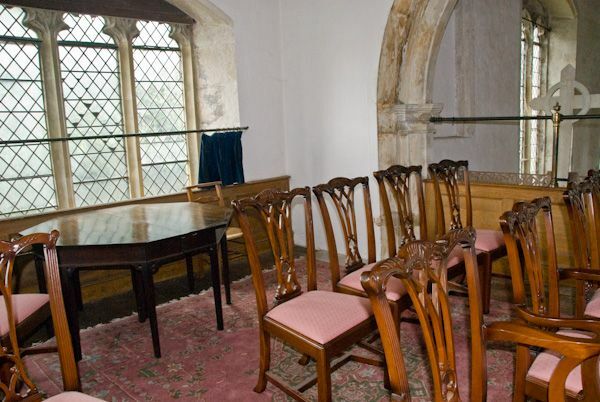 Raised above the chapel is a squire's pew, or gallery, built for the Gybbons family, owners of Hole Park. This is furnished like a domestic room, with carpeting, comfortable chairs, and a table. From here the squire and his family could look on in comfort while the service went on below them. 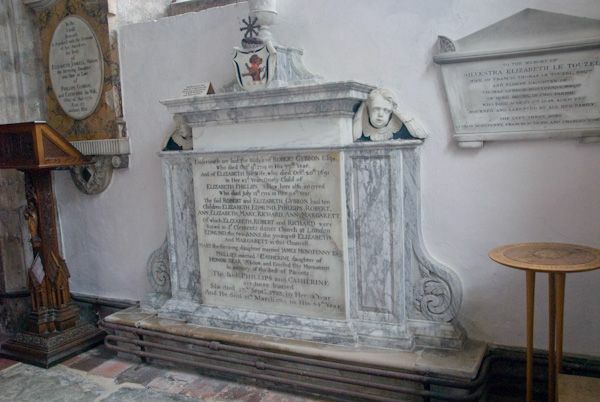 In the chapel are the Gybbon vault and a very nice memorial to Robert Gybbon (d. 1719) and his numerous offspring. A descendant of Robert was Edmund Gibbons, author of the Decline and Fall of the Roman Empire. In the sanctuary is a 13th-century piscina for washing communion vessels.